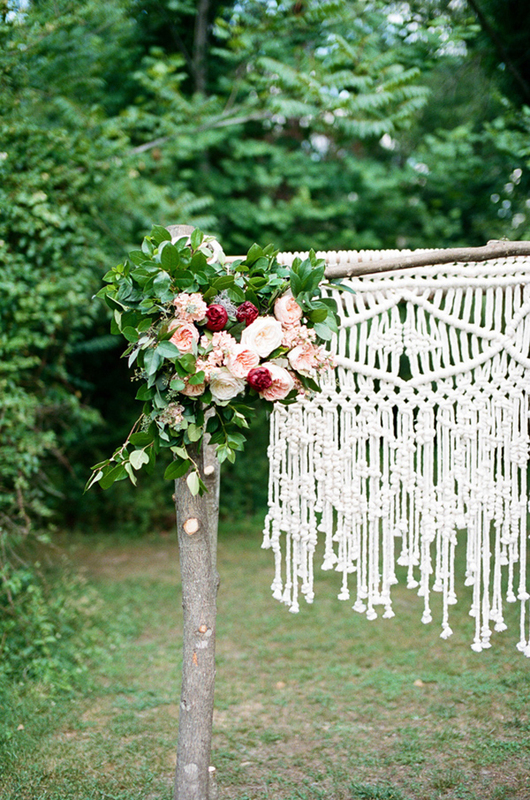 I am in love with this macrame trend, especially for a spring or summer wedding. 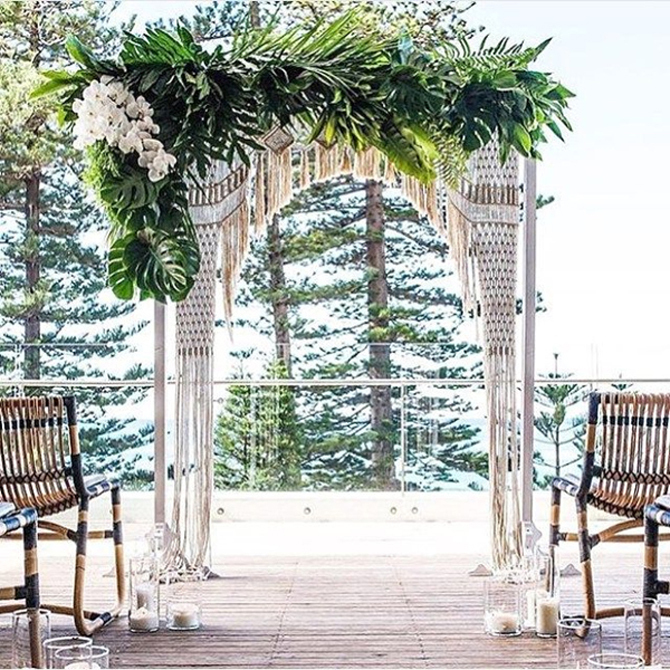 Whether it's an arch perfectly framing the couple or more of a backdrop, it's a beautifully simple and subtle way to decorate a ceremony without distracting from the couple. 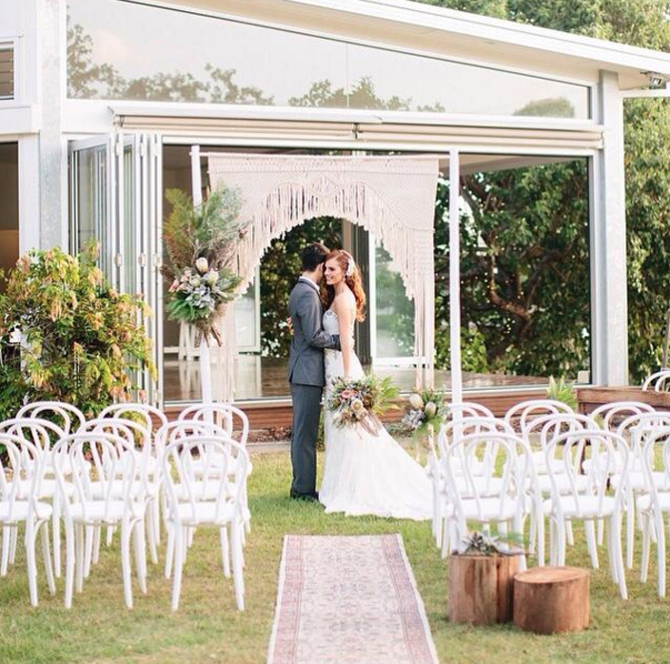 Bonus for the trend-bucking bride: I spend hours coming through wedding photos and it's still rare that I spot a macrame backdrop, so chances are you won't see this at the 15 other weddings you attend this wedding season! 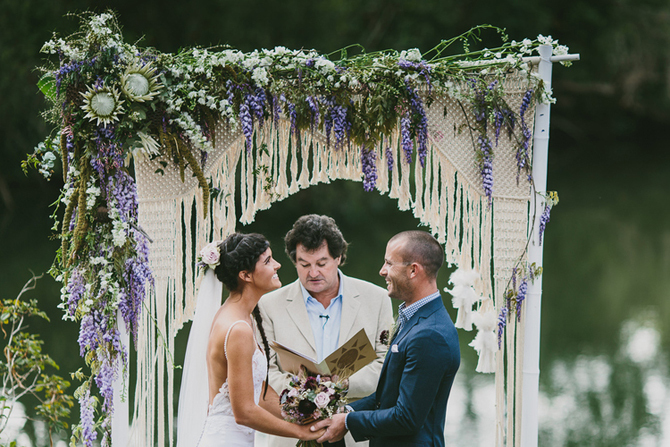 // More macrame wedding inspiration, including a macrame cake?! 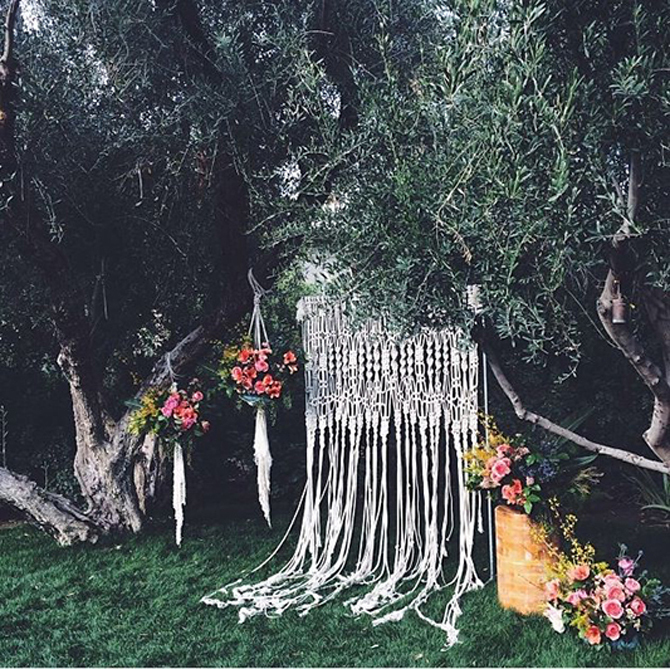 // Beautiful DIY ombre macrame wall hanging for a wedding, an apartment, infinity and beyond!